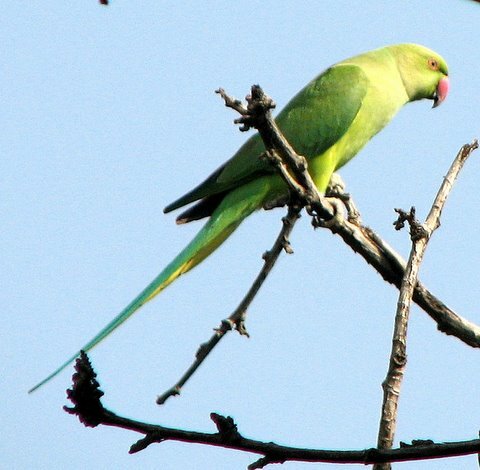 A little distance from our room in Delhi (well, Surajkund in Haryana, actually) was a tree on the parakeets were having fun….I didn’t have the “birding” camera with me, only my trusty S3…so these are what I got! And I thought I would document the female parakeet, which doesn’t have the eponymous rose ring around her neck, but is just as beautiful nevertheless. Such foozly shots can be passed off as “documentation” shots! 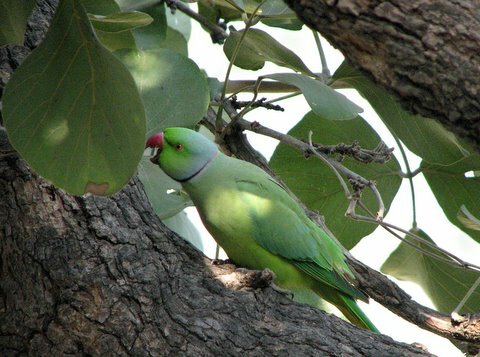 They ARE common birds, which have adapted very well to urban and semi-urban areas. I only wish that they didn’t have such harsh voices!